Please feel free to contact us to schedule these “Basic Bible Truths” lessons. We will work with you on the best time and location for these lessons. Our Pastor or one of our qualified members will be happy to sit down with you and expound on these important truths. 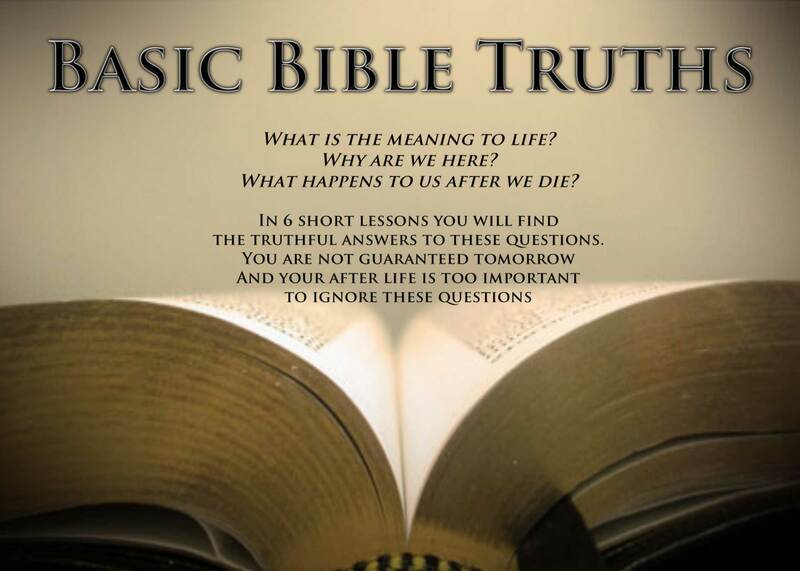 You don’t want to get the answer wrong when it comes to your eternity but we have the sure answer for you. It is a dreadful thing for anyone to be lost; I do not know if there is a more dreadful word in the English language than that word "lost."